On March 13th Jack and Barbara Nicklaus, PGA TOUR officials, and CMN Hospitals’ CEO John Lauck came together in Ponte Vedra, FL during a press conference on the eve of THE PLAYERS to urge the global golf community to Play Yellow for children’s hospitals and help raise $100 million over the next five years. For years, the Nicklaus family has supported Children’s Miracle Network Hospitals®, recognizing their reliance on donations to fund pediatric care insurance programs do not cover. In partnership with CMN Hospitals, the Nicklaus family, along with support from the PGA TOUR and many of its partners, is encouraging the golf community to fill this funding gap in pediatric healthcare through the Play Yellow campaign. Outreach for support of the Play Yellow campaign began earlier this year, and the list of core partners grows daily. The list thus far includes: the PGA TOUR, THE PLAYERS, Travelers Championship, Topgolf, Callaway, Srixon, the TPC Network, PGA TOUR Superstore, Marriott Golf, TaylorMade, Titleist, FootJoy and Golf Digest. The results of Play Yellow will be celebrated during the Memorial Tournament presented by Nationwide May 30 – June 2. 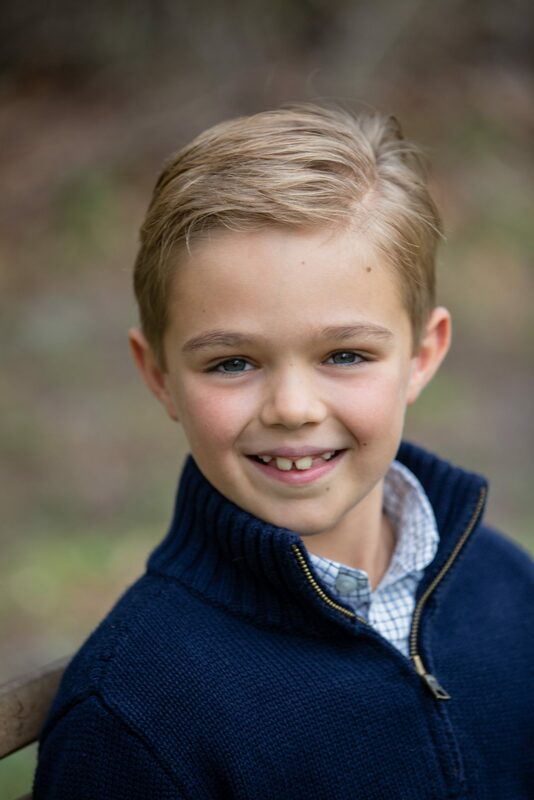 Benefiting from Play Yellow are kids like 9-year-old A.J. Blinn of Jacksonville, Fla., who attended the announcement. A year ago, he had major hip surgery at Wolfson Children’s Hospital in Jacksonville to treat a rare childhood hip condition. Recovery from hip surgery has kept him from most of the sports he loves, except golf. He has remained active on the course, evident by his swing. “There isn’t a higher calling than helping a child in need,” said Barbara Nicklaus. Jack echoed his wife: “I completely agree. 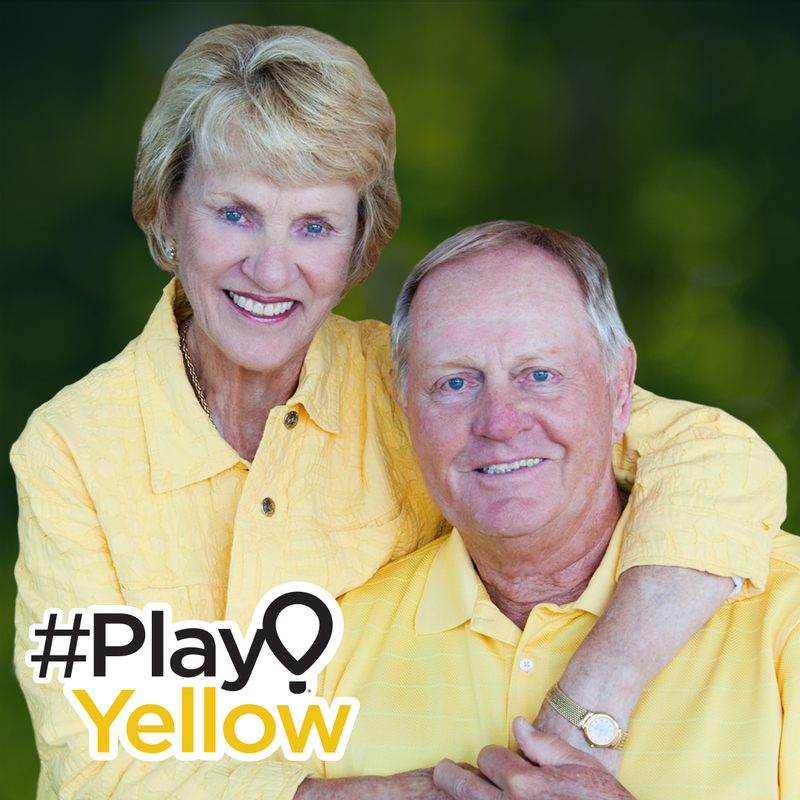 We hope you’ll join the cause and Play Yellow for kids.” Barbara and Jack have a long history and close ties to a number of CMN Hospitals, most notably Nationwide Children’s Hospital in their hometown of Columbus, Ohio, and Nicklaus Children’s Hospital in Miami. The Memorial Tournament presented by Nationwide has benefited Nationwide Children’s Hospital since its inception in 1976, and it was The Honda Classic’s move to Palm Beach County and down the street from the Nicklauses’ North Palm Beach, Fla., home that inspired Barbara and Jack to create the Nicklaus Children’s Health Care Foundation in 2004. In the 14-plus years since, the Foundation has raised over $100 million, and their support of pediatric programs in South Florida led renowned Miami Children’s Hospital to rebrand to Nicklaus Children’s Hospital. Several years later, the entire Miami Children’s Health System was renamed Nicklaus Children’s Health System. There are now 14 Nicklaus Children’s Outpatient Centers spread throughout the state. The foundation has become the primary beneficiary of The Honda Classic, and Barbara has joined the Board of Children’s Miracle Network Hospitals. So how can you Play Yellow? Grab a yellow shirt, head to the golf course, and post on social media with the hashtag #PlayYellow. Tell us why you Play Yellow and who you are playing yellow for! Create a Facebook Fundraiser of your own to help spread the word and use your network to fundraise for your local children’s hospital. More details about Play Yellow can be found at PlayYellow.org. Follow the cause at Instagram.com/playyellow4kids, Twitter.com/playyellow4kids and #PlayYellow. Some loved him in “Star Wars” although felt he was terribly cast on that part. Most Sensual behind-the-scenes scene: Okay, opt for me at this one.